We had rain! It was showing 0%! And rained hard for about an hour. More to come. 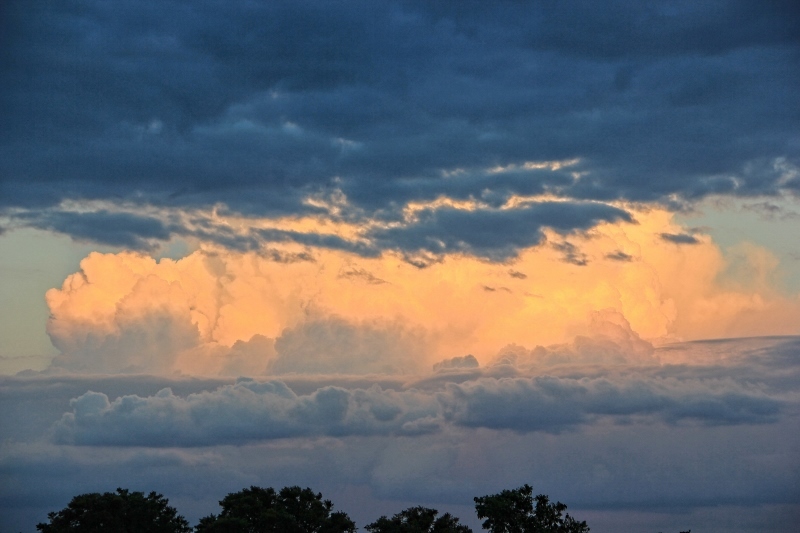 This picture was taken at sunset with the storm clouds sitting there as pretty as a picture and the setting sun coloring it a soft orange. Tomorrow, I’ll show off a cloud with a hole in it. Clouds fascinate me, can you tell? But some are much more fascinating than others.